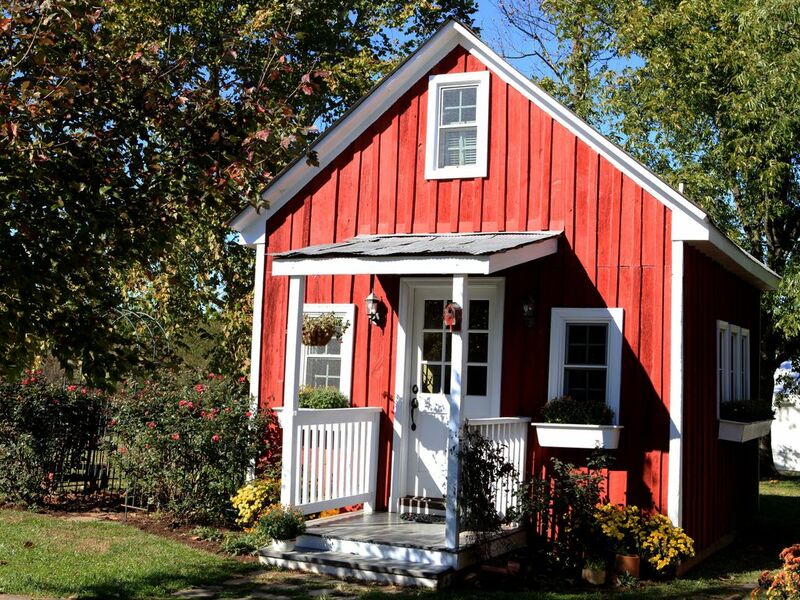 The Grain Shed at Woodhaven Farm is an immaculate, quaint and cozy completely refurbished 150 year old cottage. It is furnished with 1 bedroom, 1 bath, living area and a partially equipped kitchen. Woodhaven Farm is a working farm, located in Scottsville, Virginia, producing 100% grass fed beef. Surrounded by rolling meadows and woodlands, the farm is quiet and wonderfully isolated yet close to many of the attractions that make Virginia a desirable place to visit. Stay on the farm and enjoy canoeing/kayaking on the James River and hiking, or use it as a base for visiting historic Scottsville, the University of Virginia, the Appalachian Trail and the Blue Ridge Parkway. Tour central Virginia's wine country or delve into America's history at Revolutionary and Civil War battle sites. The homes of three early American presidents, Jefferson, Monroe and Madison, are within an easy hour's drive. It was fabulous! The setting was idyllic and the cottage is absolutely charming! I look forward to returning soon. Thank you! Beautiful views and accommodating hosts! Cottage was tiny but quaint with lots of rustic charm. It was situated very close to the host's home though so not as isolated as I was expecting. Terrific views and a beautiful property to take hikes on. The pond was located on another rental which I did not expect so we did not have easy access to it. Hosts were very accommodating and the cottage was immaculate. Hosts also had dogs of their own which was great for my dog to get to play with theirs. There was a stray dog that visited the property though that did cause some problems with our dog so that we were not able to sit outside with our dog as much as I would have liked. Overall a wonderful experience though and very close to Scottsville and a short,beautiful drive to Charlottesville. We had the best time at Tom and Alicia's "Grain Shed" over Memorial Day weekend. They were waiting outside for us upon our arrival ready to show us around. Our dog loved the space to run free while we had coffee outside. The space is beautifully decorated and the gardens were truly delightful. We loved waking up in such a quiet and serene environment. There were new chicks in the chicken coup and we had fresh eggs for breakfast. If you really want to get away from it all, this is the place! The drive into Scottsville is only about 15 minutes and 45 minutes to Charlottesville. A great location! Thanks to Tom and Alicia for your hospitality! We hope to come back soon! We spent a relaxing weekend in October at this adorable cottage surrounded by beautiful countryside. Living in a populated area, we especially enjoyed the gorgeous night sky and the view of the stars. The cottage is just that, it is small and cozy, not roomy. So if that is your preference this is not the place for you. It is very nicely decorated and comfortable for a couple on a romantic retreat. Tom and Alicia were perfect hosts. Their recommendations for restaurants in the area and other destinations including Monticello were spot on. There are many wineries in the surrounding area and we recommend you take advantage. Refund given only if reservation is cancelled 60 days prior to check in date.